Ten years. So hard to believe. On September 11, 2001, Elizabeth was just six days from delivering our first child. On the morning of 9/11, we knew our personal lives were about to change forever, but we didn’t know the world around us was going to change forever that day. That morning, as I got ready for work, we were watching The Today Show’s coverage of a plane that had apparently flown into one of the World Trade Center towers. They were describing it as an accident, and it was clear that they were scrambling for any kind of information they could find. They didn't yet know what kind of plane was involved, or how big it was. In the jostling commotion of the moment, in one random camera shot, we saw another plane dart across the background and disappear from the screen. A few seconds later, all hell broke loose. Four months earlier, Elizabeth and I had been in Manhattan. We had gone to see The Producers on Broadway, Elizabeth six months pregnant. We had taken the ferry to Liberty Island, spiraled up through the girders of the Statue, viewed the Towers through the small, scratched windows of the crown. From Battery Park, we walked across the plaza of One World Trade Center Place and thought nothing of it; our minds were on Little Italy and Chinatown and the food we hoped to find as we plodded back towards our midtown hotel that gorgeous day in May. I was a mailman on September 11, 2001, still sorting the mail at my case when the cries went up from the employee’s lounge. We saw the second tower fall on a small, snowy set, squeezed together in that room, gasping and speechless. I delivered my route in utter silence, except for the radio in my truck, on what I will always remember as the eeriest day of my life. No airplanes, no helicopters, no cars on the streets, no constant background noise of daily life. It was a silence that only complete shock can produce, and the absence of sound and movement felt almost unbearable. It was as though the world had frozen, and I was the only one still moving around in it. The mail, being the mail, had to go through. I was thinking about how I wanted to mark the occasion of the tenth anniversary of 9/11 here on the blog, and then I remembered that I had written a piece years ago about Flight 93, the United Airlines plane that had been hijacked that day, and had crashed in Pennsylvania. I wrote it in 2004, when I found out that the National Park Service planned to turn the site into a national park. I wanted to show support for the idea, so I wrote an essay expressing my thoughts and feelings about the people on that plane, and how I saw that burnt patch of earth as the site of the first victory in the war that started that day. I wrote it with the intention of sending it to somebody affiliated with the project in the hopes they might be able to use it to inspire people to recognize the significance of that place. But I’m embarrassed and ashamed to say it never left my computer; one more casualty of overwhelming, irrational fears. Not that it would have necessarily accomplished anything, or made a difference to anyone else, but I should have sent it for me, because I felt strongly about it, and because I had something to say. So, almost seven years after writing it, I read the piece over a few days ago, not sure if it still worked, or whether it would be interesting to read anymore. I think it still does, and is. I decided I would let it stand as my tribute not only to that day, but as an example of tangible good of that horrific day. I’m not sure I feel as optimistic about our prospects as a people or as a nation as I did then, but I still believe every word I wrote. As far as the Flight 93 Memorial is concerned, in reviewing some of my sources I learned that the park is going to be officially dedicated on September 10th, and the first phase of it opens next week on 9/11. This is, of course, wonderful news to anyone who’s followed the many difficulties this project has faced over the years. I was surprised that I had not heard or read anything through general media exposure about the memorial’s opening. I truly hope this does not become a forgotten story. There is too much honor, too much sacrifice, too much value, to let what happened there disintegrate from the public memory. These days, it seems like all we see, and all we seem to be looking for, is the worst in everything. But Flight 93 has great things to tell us about ourselves, and about our possibilities, if we are willing to see them, and live up to them. Construction is underway at the World Trade Center site, and by now most people have seen the plans for the redevelopment, with its new tower, buildings and, most importantly, memorial to the tragedy that occurred there. The planned memorial appears in all respects to be a thoughtful, sensitive, and dignified effort to officially christen that now-sacred ground. If we may reapply the words of Mr. Lincoln, it is altogether fitting and proper that we do this. The nation unanimously acknowledges that this, like the battlefield near Gettysburg, is a place made holy by American blood that must be preserved forever in honor of the sacrifice that was made there. 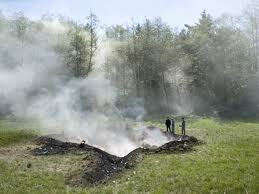 Much more quietly, and with little sense of public fanfare, the National Park Service has undertaken the task of creating a memorial at the location in western Pennsylvania where United Airlines’ flight 93 went down on September 11th. In a sense, the fact that this effort is proceeding almost surreptitiously is understandable. The overwhelming scale of the tragedy in New York dwarfs everything, much as the towers themselves once dwarfed the skyline of that city. The vision of the towers collapsing is an image now permanently fixed in our national memory, and the visual impact is superceded only by the shocking, numbing, sickening loss of so many innocent lives to a willful act of evil. When placed in direct contrast, the unseen loss of 40 people in rural Pennsylvania seems minor, almost an afterthought. Indeed, the tragedies in Pennsylvania and Washington seem to have become buttresses which exist to support the soaring spire of New York as a symbol of our deep national wound, reinforcing it and allowing it to reach an even greater height. But they also exist as separate events deserving of thoughtful and independent consideration. This is especially true for Flight 93. 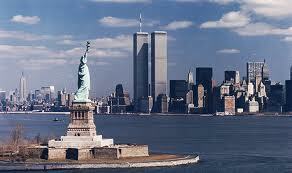 On September 11th, in that field in rural Pennsylvania, forty Americans lost their lives. But how many more victims would there have been if the plane had reached its target? What half-recognizable, smoking shell of a national symbol was meant to be juxtaposed on a split-screen TV image alongside the Towers and the Pentagon on 9/11? The debt of gratitude we owe those 40 passengers, those 40 heroes, is potentially immeasurable. And it is vitally important that we not allow the symbolic clouds of smoke and ash still billowing from the Towers to enshroud and obscure the significance of the sacrifice represented by that scarred field in rural Pennsylvania. We may never know for certain what target the terrorists had designated for that fourth plane (it was allegedly either the White House or the Capital building), but we do know with absolute certainty that it was not their intention to strike an anonymous field in some rural region. The three other planes hit their targets, likely before any of the innocent passengers understood what was happening. But those aboard Flight 93 had the advantage of following the others, of knowing, thanks to cell phone contact with loved ones on the ground, what had just happened to the Towers. Armed only by that knowledge, they spontaneously banded together and confronted their hijackers. In those personal moments of terror and panic, they surely knew that overpowering their hijackers was not likely to result in their own survival. But they also knew if they simply resigned themselves to their fate and did nothing to change it, that not just their own lives but those of an unknown number of others would most assuredly be lost. That planeload of ordinary people, that random sampling of America, knowingly sacrificed their lives, choosing to force the plane down before allowing other innocent people to be taken with them. In doing so, they have reminded us of perhaps the most extraordinary quality of humanity, self-sacrifice. For this alone they deserve to be praised, and remembered, among the highest examples of those who have given their lives so that others might live. That Pennsylvania field, like the one only 90 miles away at Gettysburg, marks a spot where Americans gave their last full measure of devotion. Yet there are other reasons for memorializing this site. For one, it marks the actual location of the first victory in this current war against terrorism. This is the place where Americans first understood the threat that was present on our soil and took action to oppose it. Just as at Lexington and Concord, it was the citizens who were first relied upon for our defense and it was the citizens who first took the battle to the enemy. The passengers of Flight 93 unknowingly became transformed into modern day Minutemen and women. Although they did not ask for the responsibility, and they surely did not wish it forced upon them, they were the ones to whom the burden fell, and they rose to the need with courage and determination. They found a way to avert a greater catastrophe, even as they paid for it with their lives. The actions of the passengers of Flight 93 are difficult to place in their proper perspective, existing as they must forever exist within the greater shadow of September 11th. But to those who have given them deep and respectful contemplation, the consequences of their actions resound with significance. Terrorist groups with designs on future attacks have been served notice that Americans are not generally passive by nature, that action tends to be a free people’s preferred method of expression. We may never know if Al Qaeda had follow-up attacks planned and if those plans were altered in any way as a result of the passenger uprising on Flight 93. Regardless, we must agree that terrorists who would wish to replicate such a feat are now forced to reconsider whether taking large passenger planes (unless empty) can be done without jeopardizing their own depraved mission. By placing this thought in the minds of potential hijackers, it is conceivable that the passengers of Flight 93 have done more to avert another hijacking than all the security measures since put in place by the federal government. Additionally, they have reminded terrorist leaders that they are now operating in largely uncharted territory. Instances of enemies seeking to engage us on our own soil have been extremely rare in our history. The fighting nature of this country’s citizens in defense of home and hearth has not been seriously tested since the White House was burned in the War of 1812. Mr. bin Laden may have interpreted this long period of security as a vulnerability. But he and those who follow him will find our love, commitment, and resolve for our liberties and each other as sharp a blade as ever, however long sheathed. They have already felt the piercing tip with the people of Flight 93. But perhaps most importantly, the victory of September 11th may be most significant for what it tells us about ourselves as for what it tells our enemies. Everyone who has traveled by plane since September 11th, 2001, has certainly wondered what they would do if their plane was hijacked. The vast majority have undoubtedly embarked with a personal sense of determination to not allow, if humanly possible, their plane to be used as the means of another disaster like the World Trade Center. To a large degree, this probably would have been the case even if we didn’t have the successful example of Flight 93 to rely upon. But our conviction is concretely aided and increased by the knowledge that it can be done, because it has been done. Furthermore, imagine the national conversation we might have had if all four planes had successfully delivered the full force of their destructive intent. We likely would have been compelled to discuss whether or not citizens, now knowing the horrifying scale of the terrorists’ ambition, would be capable of opposing future hijackers. TV experts would have theorized whether the average man or woman would be willing to sacrifice their lives in an attempt to prevent greater loss. That these questions have not arisen is directly attributable to the passengers of Flight 93. Our own individual and national self-doubts have been reassured, and our faith in those around us has been renewed by the symbol of resistance they have provided. They have bequeathed to us a shining example, one to which we can cling through dark, uncertain days. This is the victory of September 11th, yet a full appreciation of their gift to us seems to have been eclipsed by the sheer massiveness of the calamity in New York. Allowing their sacrifice to gradually fade from our consciousness would be to lose sight of our first victory in this war. Failing to acknowledge its significance would be tantamount to conceding a total and complete victory to the terrorists, which is not the case and which they do not deserve. Hopefully the people of that plane have been granted by God the ability to see, where the living have not, the lives that they have saved and the good that they have done. With our imperfect and obstructed vision, we can only attempt to estimate these things. What is certain is that the passengers of Flight 93 found a way to keep the evil inflicted by that plane to its absolute bare minimum. It is our right, our obligation, and indeed it should be our most sacred privilege to honor, remember, and proclaim their sacrifice. If, after reading this, you want more information about the Flight 93 Memorial, check out the National Park Services Flight 93 Memorial Park page. Only the first phase of the park is actually opening on September 11th. The nonprofit organization working to complete the entire vision of the park is called the Flight 93 National Memorial Campaign. If you are interested in learning more about them, or wish to help them by donating to the cause, check out their website. Their site includes a live webcam feed that will allow you to see what the park looks like now. You can also see what design elements are yet to be added. Have a great Labor Day weekend, and a peaceful day of remembrance. I was very touched by this essay. 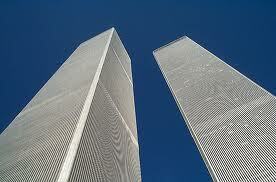 Dennis and I have been watching some of the programs about September 11th. We weren't able to do so in earlier days as the wounds were still too fresh. Thank you for reminding us of the heroism in Pennsylvania on that dark day. Passengers of Flight 93 = Inspiration! Thanks for the comments! Glad you found value in this essay. SB - What can I say? I've been an idiot about my writing for too long. Thanks for the support! Hope McK - I know what you mean. I still can't watch the Dbacks World Series from 2001, which we have on DVD, I think because of its association with 9/11. I still don't like to look at the photos and videos from that day. Just searching for images to put with the post made me uncomfortable. I guess that's why I felt it was so important to find something positive to hold on to from a day of such extreme emotional devastation. Adam - Amen my brother! All I have to say is "Wow!!" Kevin, I always know you were an awesome writer who hadn't come out of the closet yet during that time of our youth. : ) So glad you are now doing what you were made to do and explore your God given-talent... very proud of you!! Bernadette: Thanks for following the blog, and thanks also for the kind comments. Oh, I'm out of the closet all right, and loving it! It took me a long time to discern the difference between being an observer and being invisible. By the way, this is as much fun as I've had in life since the time I gave you a ride on my scooter and nearly killed us both! It was scary, but it was fun!! !